In North Carolina, driving is a privilege. Some drivers however put themselves and others in danger by disregarding traffic laws and driving dangerously, negligently or carelessly. Such driving behavior is an abuse of one’s driving privilege and may result in the loss of said privilege. The temporary loss of one’s driving privilege is called suspension. Upon successful completion of the terms of the suspension, one may get their driving privilege reinstated. Some offenses however, warrant one’s driving privileges to be terminated. This is called revocation. Upon a revocation, one must meet eligibility requirements in order to get their license reinstated and may need to have an administrative hearing. 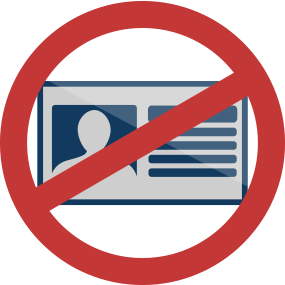 Once found eligible, one will need to reapply for a driver license at a driver license office. Below is a table providing general information regarding common suspensions and revocations. However, each driving record is different and multiple suspensions may effect one’s eligibility for reinstatement of their driving privileges. Therefore, it is important that you consult with an attorney knowledgeable and experienced in dealing with violations of traffic laws and driving privileges to either avoid a suspension or revocations, or to meet eligibility requirements for the reinstatement of one’s driving privilege. Collins Law Firm represents people charged with a wide range of traffic matters from simple speeding tickets to serious felony charges. In many cases we are able to avoid the necessity of our clients appearing in court and we help eliminate or mitigate the negative consequences of citations or charges. For most minor traffic matters, Collins Law Firm offers a free initial telephone consultation or we usually have appointments available immediately if you would like to come to our office to meet with a member of our staff. Should you or someone you know receive a citation for a traffic law violation such as a speeding ticket, call the friendly professionals at Collins Law Firm at 910-793-9000 for a confidential consultation. This entry was posted on Friday, June 15th, 2018 at 8:58 pm	and is filed under Legal Advice. You can follow any responses to this entry through the RSS 2.0 feed. Both comments and pings are currently closed.